There have been few surprises when we heard the names of those who compose the new Greek government under Lucas Papademos. As a government of national unity, everybody expected to see which members of New Democracy and LAOS parties would be selected and for which posts. New Democracy reluctantly offered its members, afraid that the new government will fail and that this failure could be partly blamed to them during the next general elections (yes, Greek politicians are still playing their little political games at this very crucial time). In this post, I decided to focus on two members of LAOS. Not the South East Asian country but the Greek far right populist party of the Popular Orthodox Rally (laos in Greek is the word for “people”, λαός). They are Mavroudis (Makis) Voridis and Adonis Georgiades. Makis Voridis has been very active during his youth years in the nationalist and extreme right part of the political spectrum. Here’s some biographical data collected from already published articles. He graduated from the Athens College, the same school that was attended by Lucas Papademos and the majority of the Greek political and business elite. Soon after he became General Secretary of EPEN’s youth. EPEN (National Political Union) was a far-right political party which was founded in 1984 by jailed former junta leader Georgios Papadopoulos. He substituted in that post Nikos Michaloliakos who founded and still heads the national socialist party Hrisi Avgi (Golden Dawn). “EPEN was the main vehicle for the the national, popular and social right to express its views, and it had elected a Eurodeputy. As a youth activist in the national, patriotic circle who wanted to be active politically, it was the only outlet,” Voridis has stated. He later enrolled at the Law School of Athens University and founded a group called Student Alternative. The Law School Students Union expelled him in 1985 because of his fascist activity. 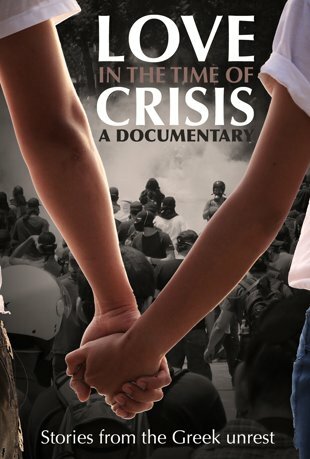 Greek investigative journalist team “Ios” (i.e. virus in Greek) later published a photo of Voridis from those events (9/6/2002 in Eleftherotypia newspaper). He was seen holding an axe. At a later interview, he justified it as self-defence to an attack by leftists. 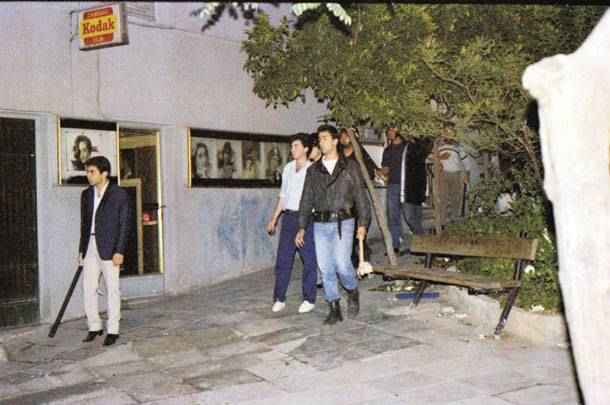 In 1986 the National Union of Students (EFEE-ΕΦΕΕ) sued him for participation to a fascists’ attack against several Law School students. In 1994 Makis Voridis, together with members of EPEN and ENEK (United Nationalist Movement), found the Hellenic Front party. Originally it was a small insignificant party (“the Hellenic Front’s insignificance illustrates the comparative weakness of extreme right politics in Greece” – The Guardian newspaper) before it disguised itself into more acceptable, but still far right, forms. Voridis headed the new political formation until 2005 when the party was disbanded and its leadership called its members to join the LAOS party. A year earlier, in the 2004 general elections, the Hellenic Front cooperated with another far right party, Proti Grammi (Front Line), which was headed by the most prominent far right politician and author, Kostas Plevris (his bio at Wikipedia is quite informative). His son, Thanos Plevris, is today an MP with the LAOS party. The second prominent member of LAOS who joined the new national unity government is Adonis Georgiades. He founded Georgiades Publications and he is Director of two magazines: History of Greeks (Ελλήνων Ιστορία) and Greek Education (Ελληνική Αγωγή). He later started his own tv show in TeleCity (TeleAsty) channel, which is managed by Giorgos Karatzaferis’ party. 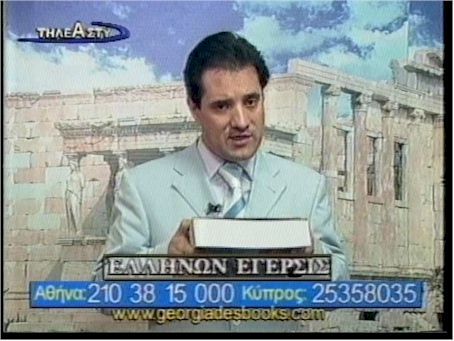 There, Adonis Georgiades presented a show about books which was practically a 1-hour advertisement of publications that glorified the Greek past. A lot were related to ancient Greek literature and several had historical or even political subjects. Eleftherotypia (mainly the Ios investigative journalism team) and Ta Neanewspapers have accused Georgiades’ show of being a means for the promotion of nationalist and nazi-friendly content. In 2007 and 2009, Adonis Georgiades was elected MP with LAOS party. In 2010 local elections he was the party’s candidate for the post of Athens regional governor (after Voridis was thought to be too risky a candidate – read above). On 11 November 2011, Adonis Georgiades was appointed Deputy Minister of Development (his sector of responsibility is Shipping). This entry was posted in Media, Politics and tagged Adolf Hitler, Adonis Georgiades, Athanasios Plevris, Athens College, Central Board of Jewish Communities, Costas Plevris, Electron Editions, Eleftherotypia, ENEK, EPEN, Europe, extreme right, far right, fascism, fascist, Front Line, Georgios Papadopoulos, Giorgos Karatzaferis, Golden Dawn, Greece, greek government, Greek Helsinki Monitor, Hellenic Front, Hrisi Avgi, ΚΙΣ, jewish, justice, Kathimerini, Konstantinos Plevris, LAOS, Loukas Papadimos, Lucas Papademos, Makis Voridis, Minister of Development, Minister of Infrastructure, National Political Union, National Union of Students, neo-nazi, New Democracy, Nikos Michaloliakos, PASOK, Popular Orthodox Rally, Proti Grammi, Ta Nea, TeleAsty, TeleCity, Thanos Plevris, The Guardian, Transport and Networks. Bookmark the permalink. Pingback: Noli Irritare Leones » Golden Dawn Rising or Setting?